Taking that year off from Post Secondary was a very good decision. Although that Travel Bug bites hard! I didn't pack my bag, quit my job and head off to Europe to backpack, But I did travel with adventure. Traveling with Contiki Holidays is an life time adventure. You see and do such amazing things that you normally get a chance to do, and you meet so many awesome, wonderful people through Contiki and while On tour - you know who you are! First Trip, (Dec 2010/Jan 2011) only six months to save up... 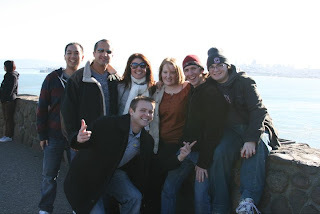 I had booked my very first Contiki Holiday - San Francisco New Years in July of 2010. To be honest i was nervous, not knowing what to expect but yet at the same time super stoked and excited. With a Contiki Holiday - you instantly become friends, like one big family. (Alex, Corey, Brooke, Myself, Robb, Cameron and our Fabulous Tour Manager Monte). Which is what Contiki is, one big family! From biking the hills of San Francisco, Ferry ride over to Alcatraz, going IN n' OUT Burger, walking down Market Street, Pier 39, Walking the Golden Gate Bridge and Biking It to Ending the First Contiki Experience on a Dinner Cruise on the San Francisco Bay watching some pretty fabulous fireworks. As many of us do, we have major contiki withdrawals after we return home. One way to fix it, book that next Contiki as soon as possible. Another way to help ease that withdrawal is attend a Contiki Party, even if that means to drive 3 hours to attend - it's well worth it! Then (April 2011) my second Contiki Party - Yup i drove another 3 hours... Contiki Suitcase Party at Hudsons Taphouse downtown Calgary. 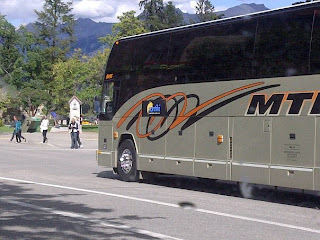 What can i say, I was on my way to become a Contiki Champion! My Second Tour, (July 2011) This was quite a decision making process on what I would be doing for my next tour, but i knew if i wanted to do two more tours this year i couldn't have afforded Sydney New Years just yet, so i settled with LA Explorer but made sure it landed on my Birthday! 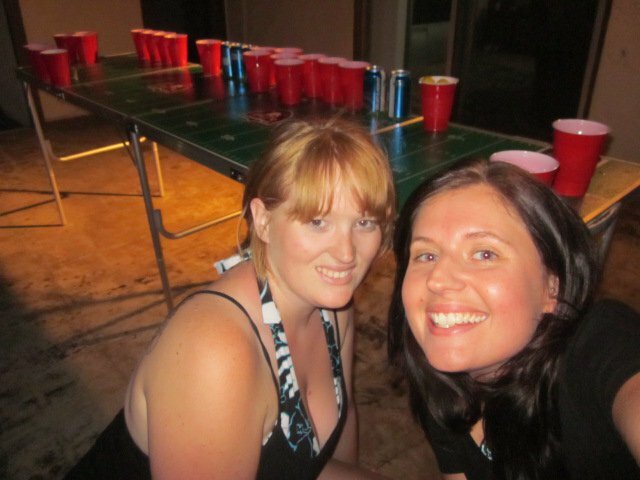 Since Contiki does know how to party, thought it was a good decision - Pub Crawl even landed on my Birthday ;) bonus! Drai's Hollywood the last stop on the Pub Crawl, OH MY GOSH! Talk about Hollywood style and for my 24th Birthday. If it was not for Contiki I would not have been partying Hollywood Style. Rooftop overlooking Hollywood with a pool, pole dancing, outside private sittings. Favorite part of the Tour was - Universal Studios Studio Lot Tour. I had no idea that Movie Lot was huge! They do everything there. Explorer Tours - I defiantly recommend - they really show you the city inside and out. Although there was no Contiki Party awaiting my return but Contiki meetups with some fabulous people :) and some first time meetings are just as fabulous. You know who you are! Third Contiki of the year.... Paris for New Years! 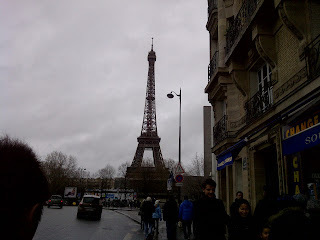 (Dec 2011/Jan 2012) You know when you are in Paris when you see the Eiffel Tower from the Contiki Coach upon entering the City. I do not know where to begin. Beyond Excited. Started in London England, Where i finally got to set foot into the famous Contiki Basement. It was pretty exciting ;)! Even though I did not get any fireworks for New Years, It did not need fireworks - It was Paris for crying out loud - that is a pretty big firework if you ask me. I even got to see the Eiffel Tower sparkle up at night <3 goregous. Some Highlights from the Tour: Musee Du Perfum, The Lourve, River Cruise on the Seine, Eiffel Tower. Dinner with Contiki I tried escargot - When in Paris! Then Moulin Rouge Carbaret Show. You can see the Eiffel Tower from every angle you go within Paris. Summary: I started the year in San Francisco and Ended it in Paris, France - what a world wind it was! Meeting a lot of great people along the way from all over the world, from England, South Africa down to Brazil up to North America over to Australia and New Zealand.